Microsoft has made probably the most important refresh, at least in their hardware division, of the year and first impressions are a little lukewarm. 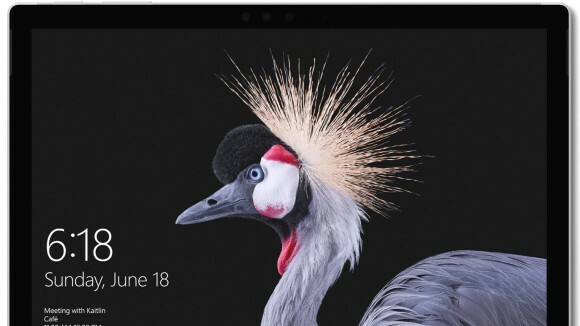 Their updated device is called the Surface Pro (so they’ve dropped the numbering scheme) and although it seems like a pretty good upgrade overall, there are one or two big design choices that leave us befuddled. Let’s start with what they’ve changed. First up, you have the performance. The new Surface Pro features all new Kaby Lake processors from Intel that starts from an Intel Core m3 at the base level and goes all the way up to an Intel Core i7 with Iris Plus graphics at the top end. One interesting new feature is that the Surface Pro 2-in-1s running on the Core m3 and Core i5 processors are now fanless. This means that the devices are completely silent, much like Acer’s Switch Alpha 12 which launched last year. Users also get a bunch of different memory configurations ranging from a 128GB SSD and 4GB of RAM all the way to the ultra-fast 1TB NVMe option with 16GB of RAM. 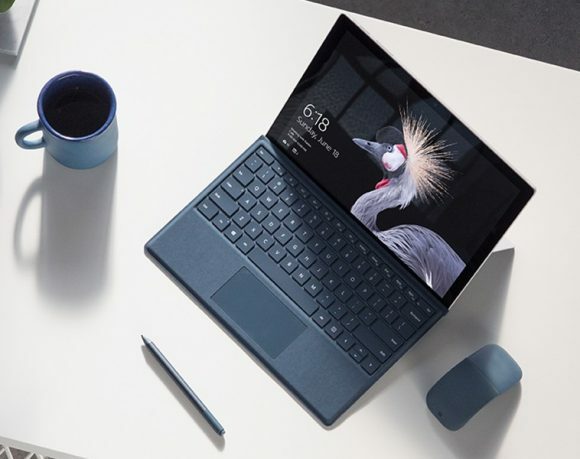 With these new, more power efficient, Kaby Lake chips plus a series of changes to the 2-in-1 as a whole, Microsoft says that the new Surface Pro can deliver up to 13.5 hours of battery life on a single charge. That’s 50% more battery life than its predecessor despite having the same 12.3-inch PixelSense display boasting 267 ppi. This is probably the most awesome thing about the refresh. Microsoft also announced that they will offer a Surface Pro model with LTE support but that’s only coming later this year. The LTE variant will support a micro SIM or eSIM and can be super useful for those who are really embracing mobility. And then we come to the most criminal oversight of all — the I/O. The new Surface Pro is a brand new — top of the line — laptop for 2017 that only starts shipping next month, yet it features a set of ports from yesteryear. 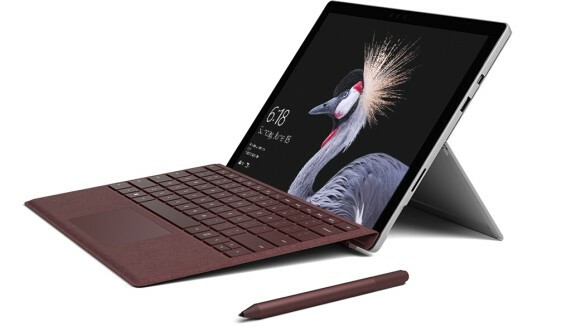 On the Surface Pro you’re getting a headphone jack, a cover port, a Surface Connector, a mini DisplayPort, a microSD card slot and a USB 3.0 Type-A port. Yep, much like the Surface Laptop (which also launched recently) the brand new Surface Pro does not feature a USB Type-C or Thunderbolt 3 port at all. Instead, Microsoft says they’re working on a new dongle, which you can buy separately, that will give you USB Type-C connectivity. 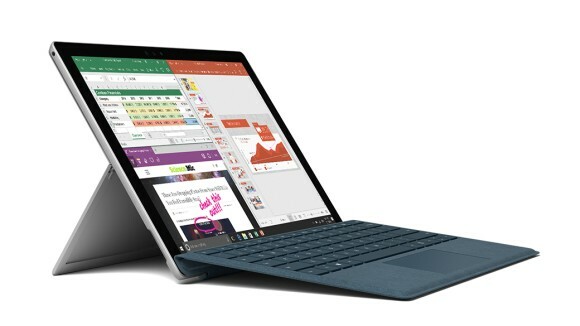 Besides that, Microsoft has made a slew of very small but noticeable changes to the Surface Pro’s body. The vents, for example has shrunk a little so they’re not so noticeable and the sides are more rounded so its more comfortable to hold in the hand. Microsoft does say that the Surface Pro is also lighter (only on the i5 model, according to The Verge), most probably won’t notice the difference. Microsoft also developed a brand new hinge for the Surface Pro so that it now can enter what they call “Studio Mode” where the tablet can lay almost completely flat (165 degrees) like the Surface Studio. 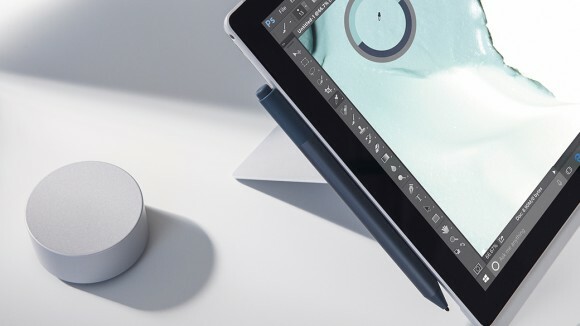 This new hinge, paired with support for the Surface Dial and a brand new Surface Pen shows that Microsoft is really doubling down on creatives. Speaking of the new Surface Pen, it’s also received a bunch of upgrades. Sensitivity has gone up by 4X from 1024 levels to 4096 levels and it now supports tilt sensitivity (only on the Surface Pro so far) so its easier to shade and ink. But there is one really big drawback — it’s no longer included with the tablet. Instead, if you want the pen, you’ll have to shell out an additional USD99 (about RM425) for it. The good news is that it’s backward compatible and your old Surface Pen is forward compatible too. 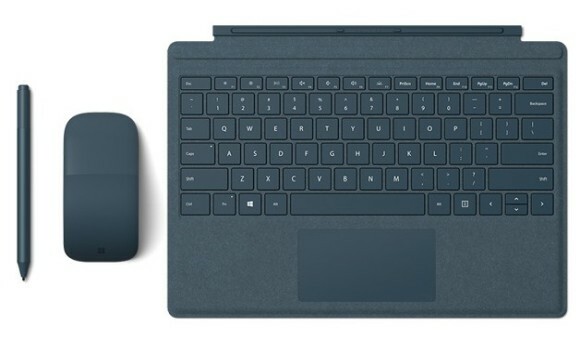 Speaking of things that are sold separately, Microsoft is now moving to Alcantara for the Surface Pro Type Cover, the same kind of fabric you’d find on the Surface Laptop’s keyboard. It will come in three different colours — burgundy, platinum and cobalt blue — and is priced at USD159 (around RM683). There is also a fourth colour option — black — that doesn’t feature Alcantara fabric, so it’s cheaper at USD129 (around RM555).